Your chances of getting bitten by a mosquito are greater than by a tick. But if you like the outdoors and live in certain areas, your risk is higher. And if the tick is carrying one of the 14 major diseases it is known for in the U.S., you may end up misdiagnosed because you’re female. Many symptoms of tick-borne diseases mimic conditions that tend to be more diagnosed in women. Complicating matters is that Lyme disease – the most common tick-borne disease – seems to be tied into fibromyalgia. Before you bug out, read on to learn more about tick-borne diseases in case one of the critters takes a liking to you. What are ticks and why should you worry? 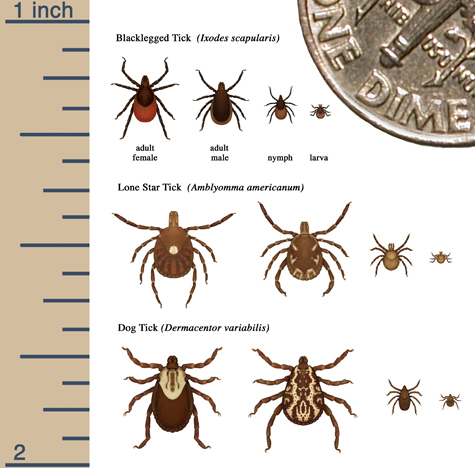 Ticks are little arachnids that feed on your blood and transmit disease. They don’t jump or fly; they grab or crawl onto their hosts. Their bite is usually painless, and most people don’t realize they’ve been bitten. If you’re lucky enough to find a tick attached to your skin, you can remove it with tweezers. The Centers for Disease Control and Prevention (CDC) has instructions for removal. One of the most important things is to be sure that the head is fully removed. This can describe many conditions, right? Now you see the problem. Your tick-borne disease risk depends on your geographic location. The CDC has a helpful guide to the expected geographic distribution of ticks throughout the U.S.
You can reduce your chances of getting a tick-borne disease by using repellents (the key is to make sure they have DEET), checking your body – especially in crevices – and clothing for ticks, and showering after being outdoors. Know that “ticks live in moist and humid environments, particularly in and or near wooded or grassy areas,” the CDC says on its website. The CDC suggests walking in the center of trails in order to avoid contact. Of all the tick-borne diseases, Lyme is the most recognized and the most common. An estimated 300,000 Americans are diagnosed with it each year, according to the CDC, but only 30,000 are reported. There is no accurate figure for the number of all tick-borne diseases due to the difficulty in diagnosing and lack of reporting. Compounding the problem is that tick-borne diseases are either seen as co-infections or are often easily confused with each other. Deer ticks, also known as Blacklegged Tick or Bear Tick, carry Lyme disease, which manifests itself as a multisystem inflammatory disease. 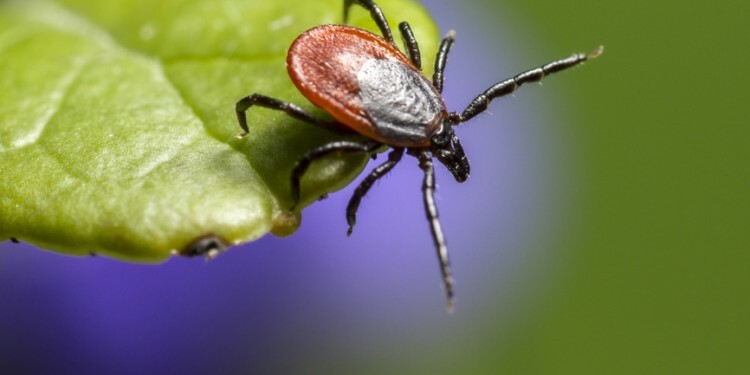 “It affects the skin in its early, localized stage, and spreads to the joints, nervous system, and to a lesser extent, other organ systems in its later stages,” says the American Lyme Disease Foundation, Inc. (ALDF). There is such variation that while it can be effectively treated, some patients have symptoms that linger for months or years. Lyme tends to congregate in the northeast and upper Midwest, as well as northern California and the Oregon coast. ALDF says it’s slowly spreading along and inland. More females present with Lyme in doctor’s offices than males, says Dr. Green, who says this could be because of the immune response experienced by women. “The data is still in process, but many physicians feel that women are more likely to have trouble shaking off this disease,” she says. 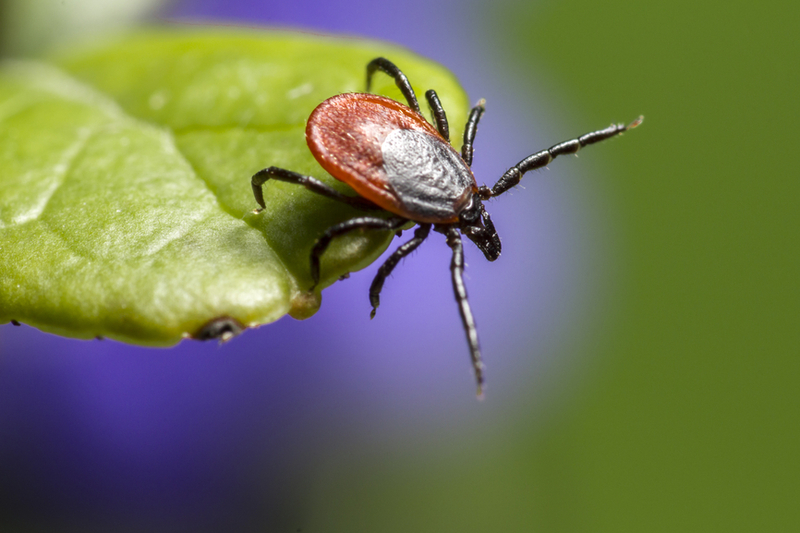 Many tick-borne symptoms overlap with other conditions, and some postulate that there is a link between Lyme disease and fibromyalgia, a chronic illness with the main symptom of widespread musculoskeletal pain. The Infectious Diseases Society of America (IDSA) guidelines note that patients who have been treated for Lyme disease may develop fibromyalgia, says Dr. Green. “Indeed, many patients who were [bitten] by a tick develop a rash and have known Lyme disease develop symptoms similar to fibromyalgia, and many meet the CDC criteria for diagnosis of fibromyalgia,” she says. Because fibromyalgia is a syndrome, not a disease, this means that medically, we don’t know what causes it. We do, however, know what causes Lyme and tick-borne disease. “Time and studies are needed to know if Lyme and tick-borne pathogens might be one of the actual causes of fibromyalgia,” says Dr. Green. Dr. Green says if a patient with Lyme meets the criteria for fibromyalgia, the following can happen: The patient is treated for Lyme disease, and the fibromyalgia resolves, which means the patient has Lyme. Or, the fibromyalgia goes into remission on its own, and it appears as though the Lyme treatment worked. Again, more research is needed in this area. But it’s not just fibromyalgia that is an issue. Because women tend to present more often with diseases like chronic-fatigue disorder, depression, and rheumatoid arthritis, they’re often misdiagnosed with these diseases instead of Lyme, thus delaying appropriate treatment. “At best, only 26 percent of patients who get Lyme see the tick that bit them,” says Dr. Green. “It’s believed that less than 50 percent see a rash.” This makes Lyme difficult to diagnose in many cases, she adds, and it’s understandable that symptoms and conditions can be confused. Clearly, education and prevention go a long way. And you can never underestimate the need for a careful workup.